Business Benefits Group - What is Umbrella Liability Insurance? Umbrellas provide us with protection from mother nature on her bad days. An umbrella liability insurance policy provides businesses with protection from unwanted or unforeseen negative events. Umbrella liability insurance is a form of business insurance that supplements basic liability policies such as renters, home or auto insurance in order to provide an additional layer of coverage. This form of business liability insurance provides coverage to a higher payout limit. The main purpose of an umbrella policy is to provide asset protection from any unforeseen events such as lawsuits where your company could be held responsible for bodily injuries or other damages that arise due to an accident or other unfortunate occurrence. Should another party file a lawsuit against your firm or business, your umbrella insurance will help to pay for the damages you are held liable for, up to the limit of the policy. Umbrella liability insurance is a vital tool that any business owner should include in their arsenal. Understanding the benefits and nuances of this type of coverage is key when making a decision. Have we peaked your curiosity? Then keep reading for everything you need to know about umbrella liability insurance coverage. Umbrella liability insurance takes liability coverage one step further. This form of business insurance provides an additional level of financial protection above the limits of your basic insurance policies. Consequently, it will provide protection from property damage and other bodily injury liability claims made against your business. Businesses can even take out broader forms of insurance coverage for slander, libel, false arrest and legal fees, among others. Essentially, your typical business insurance plan will come into play when your company is found liable and needs to pay damages, or if it is sued and has to pay for legal defense (even if the court finds that your company was not at fault). However, these types of policies will only pay after your basic business liability limits have been completely exhausted and/or if the claim is not covered by your basic business liability policy. In these types of situations, as the policyholder, the claim made against your company is on behalf of an injured/wronged party. If damages are awarded to the injured/wronged party, the Insurer will then pay the settlement amount (up to the limits of the coverage your business has acquired). In cases where the settlement amount exceeds the coverage limits, a company may be required to pay for the remaining amounts from its coffers. For most companies, the motivation to invest into this type of policy arises from a desire to prevent the possibilities of financial ruin due to unforeseen accidents and missteps. By acquiring umbrella liability insurance, your company’s assets and best interests will be provided the extra protection needed to shield itself from major claims. For example, many businesses own funds, investments, properties, vehicles as well as other tangible and intangible items. 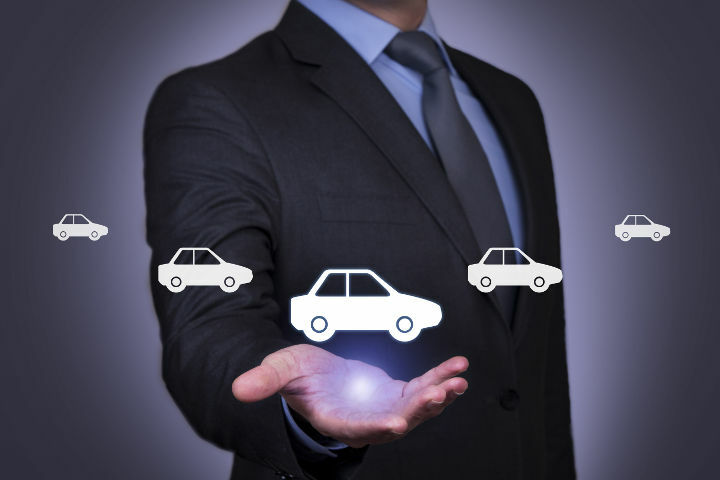 All of these items are categorized as “assets” in both the insurance and legal worlds. In a situation where a business is sued for a large sum and is unable to pay for the entirety of the damages awarded, the company’s assets will be exposed. Effective protection of organizational assets is one of the most compelling reasons why businesses invest into umbrella liability insurance coverage. As a business owner, you should seriously consider the benefits and advantages of umbrella liability insurance. Past significantly increased financial protection, an additional benefit of signing up for this type of coverage is that your business insurance premiums will be tax deductible. There are some gray areas for certain individuals such as landlords and businesses which own rental properties. This is because owning and renting out homes is a type of business transaction. Still, policy holders can include rental properties under their personal umbrella liability insurance policy. In such situations, the individual will be able to deduct portions of their premiums on their taxes. The business insurance professionals of the Business Benefits Group (BBG) can help you understand the best way to leverage umbrella liability insurance so that you receive the full benefits of coverage. By acquiring umbrella liability insurance, your company’s assets and best interests will be provided extra protection. It is necessary to assess the risks that your business faces. For instance, if your company rents out homes and business premises, think about the risk of one of your employees causing an accident while running errands for the company. Similarly, consider any and all potentially dangerous activities that your business participates in that could pose a threat to the safety and security of people on or around the premises. Higher levels of risk may require more comprehensive liability coverage. a higher value of assets overall will require more coverage. Although it is not common knowledge, business liability lawsuits can result in the loss of both current assets and funds as well as future incomes. Therefore, even if your business or firm only owns a few assets, owners should still consider the long-term ramifications that a serious claim could inflict upon the ability to earn an income/profit in the future. If your business is on the road to high profitability, growth and expansion then becoming engrossed in a lawsuit that could stifle this growth could be detrimental. This is another central motivation for business owners who wish to better control the future of their organization. If you are interested in reaping the rewards of umbrella liability insurance – contact the Business Benefits Group today. Our experienced team of insurance professionals can help you to determine your company’s specific risk factors and can plan how to best protect its current and future assets using umbrella liability insurance. For more information on our beneficial business insurance services, please call or contact BBG online today!